Smartphones have become a common gadget nowadays. A lot of people have it because of its greater functionality. They like that they can use it to send and receive SMS and MMS, make and receive calls and voicemails, and check and send emails. They also like the numerous features such as bigger memory space, built-in camera, and sleek design and display. Add to that the built-in apps and the capability to download more apps such as games. Another great reason is the capability of Smartphones to access third party phone services from providers such as RingCentral phone service, a company known for its scalable VoIP plans. This is something that small businesses take advantage of. Over the years, there has been a continuous increase in the number of Smartphone users. Proof of this is the successful penetration of Smartphones in the US market. According to a market study published by eMarketer in April 2012, there are 232.2 million users of mobile phones in the US in 2010. This is 74.9% of the population. From this, 62.6 million own a Smartphone which is 20.2% of the population. In 2011, the number of mobile phone users increased to 237.7 million which is 75.9% of the population. On the other hand, the number of Smartphone users increased hugely to 93.1 million which is 29.7% of the population. In 2012, mobile phone users became 242.8 million which is 76.8% of the population. Smartphone users still increased significantly to 115.8 million which is 36.6% of the population. This year, the number of mobile phone users is expected to reach 247.5 million while the number of Smartphone users is expected to reach 137.5 million. In 2010, 75% of the US population use mobile phones. With this, we can understand why there is a small percent change from year to year in the increase in the number of mobile phone users. On the other hand, only 20% of the US population owns a Smartphone in 2010. That is why there is always a huge percent change in the number of Smartphone users from 2010 to 2013. Imagine, from 60 plus million in 2010 to almost 140 million in 2013. Now that’s really a huge for the Smartphone industry. 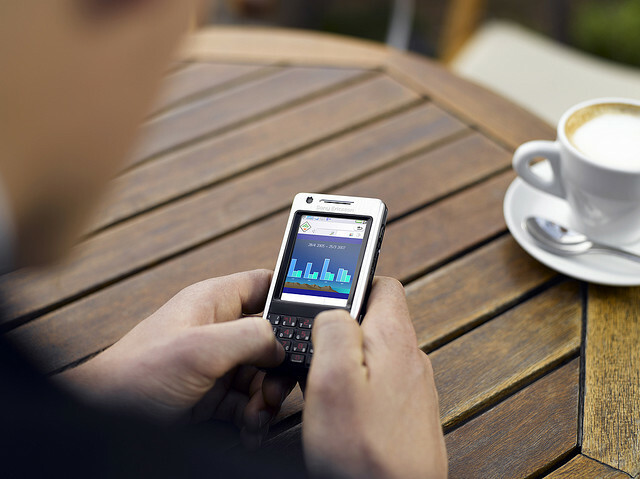 The forecast for both mobile phones and Smartphones is still positive. However, the percent change will start to decrease. This is what will definitely happen as the number of mobile phones and Smartphone users reaches the 100% mark. By 2016, the number of mobile phone users is expected to be around 259.6 million while the number of Smartphone users is expected to reach 192.4 million. With these figures, it is very clear that the market for Smartphone will continue to enjoy strong, positive growth. For Smartphone companies, this could mean more revenues through sales of their newer versions and through an expected increase in the number of app downloads. On the other hand, this is also a huge opportunity for businesses as they can reach more target customers through their mobile phone such as Smartphones. So, the positive forecasts for the Smartphone and the mobile phone industry in general is very much favorable for businesses especially the small market players. This is very true since online marketing strategies such as SMS marketing is what they can afford. Apparently, the Smartphone penetration in the US market seems to bring good things not just for the business people but to ordinary consumers as well. Edward is an article writer that talks about business and technology. He contributed different business and technology related articles like gadgets review, latest tech news, small business phone guides and business phone service in different websites. Aside from writing, he also loves to read books, to travel and do skydiving during his free time.